Don’t let your treasured memories fade forever. We can transfer your family movies onto DVD* from a variety of formats that will protect your treasured memories and provide copies for friends or family members. All DVDs include chapter points and an opening menu. Please contact us with your exact requirements. *Please note that each single DVD can store up to 2 ¼ hours of video so a 3 hr VHS tape will need to be split onto two DVDs. Please note that for copyright reasons we can only copy/transfer home videos (NOT commercially available videos or those produced by a third party). Discs are supplied printed and supplied in DVD case, postage charges extra if mailed to client. 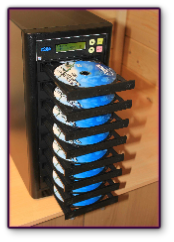 Our DVD/CD duplication facility allows for cost effective small scale copies from DVD/CD masters. DVDs/CDs can be packaged in cases, clam shells or slip cases and we can design and arrange for full colour printing of disc/inlay artwork. 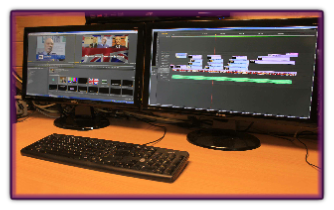 Our edit suite boasts the latest software for creating top quality video content, including graphics, special effects, animation, sound editing, DVD authoring and design. In addition we can create CD Audio projects, encode video to all different formats and create photographic projects for print media. 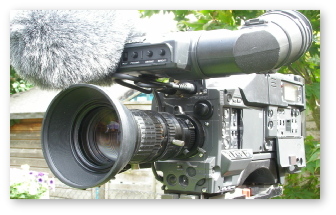 We can provide freelance filming services for your video project or live presentations together with presenters or voiceover services if required. Our kit comprises of camera operator, camera, tripod, microphones, monitor, lighting kit and accessories. 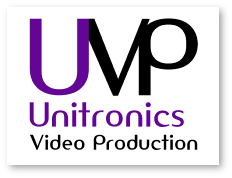 Film/Video transfer priced above does not include editing which can be quoted at time of order. Music dubbing onto Cine transfers can also be quoted for.